The website Walk Score ranks addresses, communities and cities based on their Walk Scores, Bike Scores and Transit Scores. Overall, our commuter-friendly hometown earns a Walk Score of 86, a Transit Score of 80 and a Bike Score of 71! We looked at the top ranking Transit Scores in San Francisco neighborhoods and averaged those numbers with the community’s Walk Scores and Bike Scores, too. Then, we considered the local attractions, community atmosphere, nearby restaurants and businesses in each neighborhood to round-up the best commuter-friendly places to live, work and play. Keep reading to find out which neighborhoods score as the highest ranking commuter-friendly communities that you’ll actually want to live in or commute to! Just over two decades ago, South of Market or SoMa was a no man’s land of warehouses. Today, it has become one of the most lively neighborhoods in SF and one of the most commuter-friendly ones. It’s also on our list of The 10 Best Bike-friendly Neighborhoods in San Francisco! In addition to some of the essential local attractions in the city, SoMa has four BART stations along Market Street: Civic Center, Powell Street, Montgomery Street and Embarcadero. Further into the neighborhood, the streets are a grid of public transportation which includes historic streetcars, Muni Metro Rail and Muni Rapid Bus. 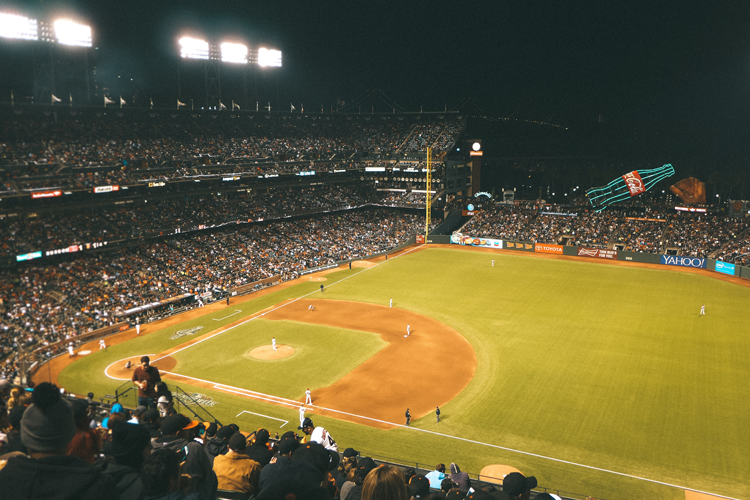 Often referred to as part of downtown San Francisco, the trendy neighborhood is home to Yerba Buena Gardens, Children’s Creativity Museum, SoMa StrEat Food Park, and AT&T Park, the stadium of the San Francisco Giants. In addition to these entertainment destinations, the neighborhood boasts some of the city’s best nightlife, cocktail bars and eateries! Next time you’re in SoMa, make a stop by Marlowe, The Perennial or Benu for upscale eats, grab a drink at 21st Amendment Brewery, then catch a Giants game! The Mission Dolores neighborhood offers access to the 16th St Mission BART stop and is surrounded by Muni Metro Rail stops, as well as historic streetcars along Market and the Muni Metro Bus running along Mission. 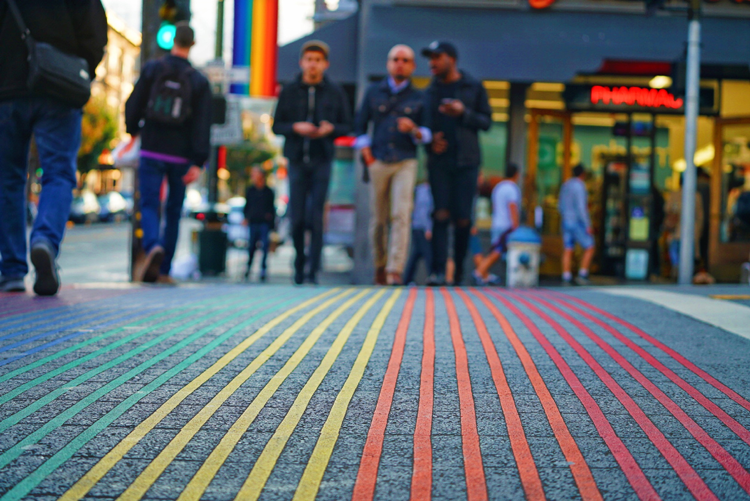 Though separated from the heart of the bustling Mission District, living in Mission Dolores puts you minutes from both that thriving neighborhood and the attractions of the Castro directly to the west. BART and public transit also connect residents to the heart of downtown San Francisco! If you want to stay closer to home, must-visit destinations include Mission Dolores Park and Mission Playground, the cocktail bar ABV, the famous Tartine Bakery, the cozy eatery Kitchen Story, the brunch stand-out The Sycamore, and Tacolicious! Another neighborhood defined as downtown San Francisco, the Financial District borders SoMa to the north and the two areas are strongly connected by public transportation. 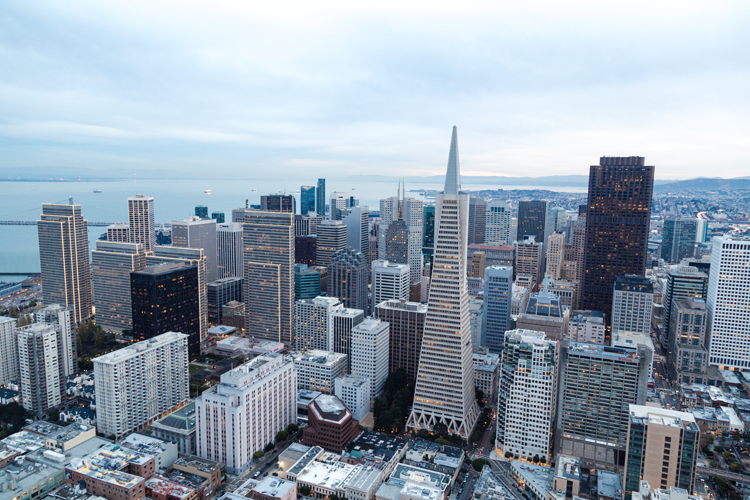 Home to the Pacific Stock Exchange, the iconic Transamerica Building, Port of San Francisco and the Ferry Building, the Financial District boasts the city’s largest concentration of corporate headquarters, law firms and financial institutions. And thanks to the BART stations lining Market as well as the grid of cable cars, historic streetcars, Muni Metro Rail and Muni Metro Bus stops, it earns a top ranking Transit Score of 100! But the Financial District isn’t all work and no play. In recent years, focus has shifted from building office spaces to creating towering luxury condominiums and hotels like The Four Seasons Hotel and Residences and the Ritz-Carlton Residences. This puts both residents and employees within proximity of some of the city’s best businesses, eateries and cocktail bars. A handful of landmark spots include The Devil’s Acre and Rickhouse for cocktails, Homage and Fish & Farm for fresh eats, and Bix for live jazz, food and drinks! Sandwiched by Haight-Ashbury and Hayes Valley, Lower Haight is famous for being a scruffy, laid-back neighborhood. Developed during and inspired by the 1960s counterculture movement which largely took place in Haight-Ashbury, this little ‘hood has a blend of both the quirky and the modern. Public transit within the community includes frequent stops by the Muni Metro Rail going both north to south and east to west. This includes access to the nonstop bus that goes into the Panhandle and Golden Gate Park! But if you decide to walk or bike, Lower Haight is just minutes from both. Just a few steps in the other direction, you’ll find Market St. which is a main thoroughfare for Muni Rapid Bus, Muni Metro Rail, the historic streetcars and BART. While close to home, we recommend stopping by Lower Haight haunts Mad Dog in the Fog, Black Sands Brewery, Maven and Iza Ramen. Throughout the past several decades, Hayes Valley has transformed into one of the city’s most bustling neighborhoods boasting boutiques, bars and restaurants we would pedal, walk or ride miles to get to. Though disconnected from BART, the neighborhood is connected by Muni Metro Rail and Muni Rapid Bus ranging in frequency from nonstop to every ten minutes. This gives you nonstop access to The Panhandle and Golden Gate Park! Living in the neighborhood puts you just down the road from some of the Bay Area’s best eateries and craft cocktail bars, including Straw, Brass Tacks, Rich Table and Biergarten. On the west end of the neighborhood, you’ll find five parks with easy access to Alamo Square Park and, as we mentioned, the iconic Golden Gate Park. San Francisco’s Northern Waterfront neighborhood is a short section of The Embarcadero and borders North Beach, Jackson Square and the Financial District. Though it’s out of the bustle of downtown San Francisco, the neighborhood is just steps from some of the most iconic attractions in the city: the Ferry Building, Coit Tower, the Bay Bridge and, of course, waterfront views. Living in this area means you can take advantage of the nearby Embarcadero BART station which takes riders across the Bay or into downtown San Francisco. 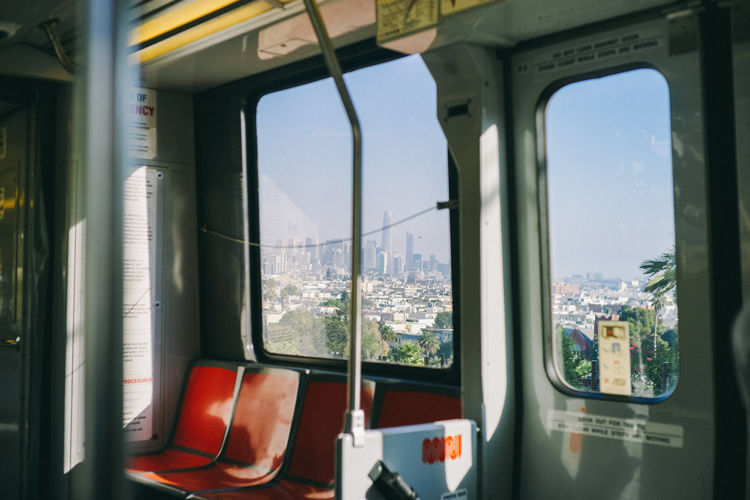 You can also hop on a ferry right in your backyard or opt to stay in the city and ride a historic streetcar along the waterfront, hop on the Muni Metro Rail into the heart of the city, or explore your neighborhood by foot. After all, it has a walk score of 96! While exploring, you’ll find some of San Francisco’s best restaurants which include selections from our guides The 15 Best Restaurants with the Best Views in San Francisco and The 11 Most Romantic Restaurants Along The Embarcadero. A sub-neighborhood of SoMa, South Beach is the eastern waterfront of one of San Francisco’s most lively communities. It reaches from the Ferry Building on the north all the way down to AT&T Park on the southern end. In addition to the other attractions of SoMa, you can enjoy the Museum of African Diaspora, the San Francisco Museum of Modern Art, the Ferry Building Marketplace, and Rincon Park. 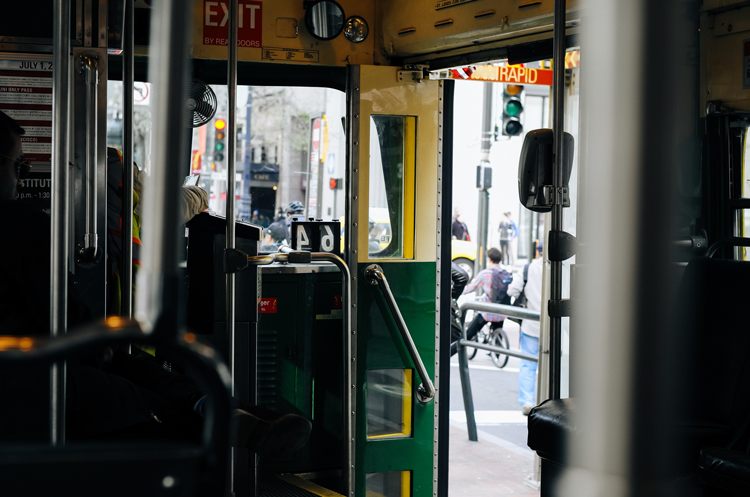 As the turn-around point for much of the city’s public transportation, South Beach has access to Muni Metro Rail, Muni Metro Bus, BART, historic streetcars and cable cars, as well as a nonstop light rail to Yerba Buena Island and Treasure Island. In short, South Beach is surrounded on all sides by public transport which lands it a Transit Score of 100! As San Francisco’s own Little Italy, North Beach is the local headquarters of Italian American culture. With Russian Hill and Chinatown to one side and the Embarcadero on the other, it’s a picturesque and culturally diverse spot in the city. 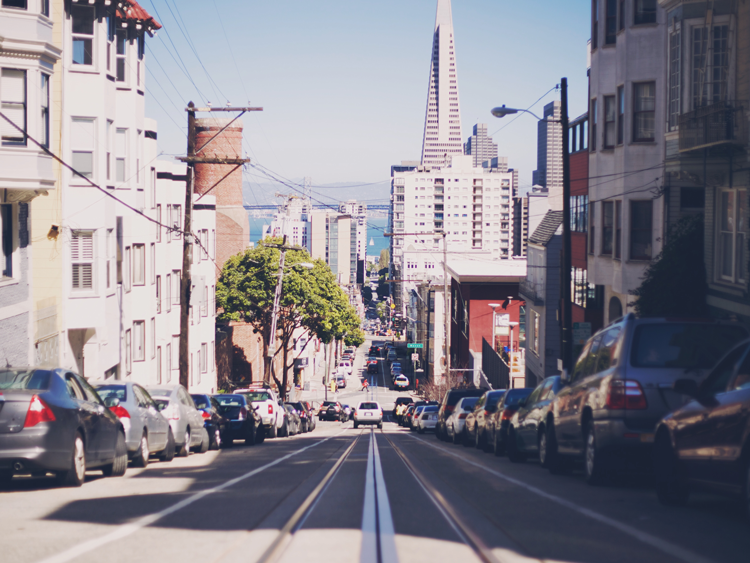 From North Beach, you can hop on a cable car into downtown, ride a historic streetcar around the Embarcadero, or catch frequent and even nonstop buses all over the neighborhood. These can take you to historic places like Washington Square or Fisherman’s Wharf inside the neighborhood or carry you to some of the essential (often Italian-inspired) restaurants. That long list includes Mama’s On Washington Square, Sotto Mare, Il Casaro Pizzeria, Cafe Delucchi and Albona. Famous as a center for the GLBT rights movement in San Francisco, the Castro offers an eclectic mix of history, culture and quirkiness. Suited for tourists and locals alike, you’ll find educational opportunities and historic landmarks alongside plenty of must-visit dining and drinking establishments. And, with Market Street cutting through the middle of the neighborhood, locals have access to all public transportation methods, including the 19th-century F-line streetcars which head all the way to Fisherman’s Wharf! While you’re in the neighborhood, we recommend stopping by local attractions and businesses like Twin Peaks Tavern, The Castro Theatre and the GLBT History Museum. Steeped in history and located atop one of San Francisco’s seven hills, Nob Hill has maintained its sense of elegance and sophistication throughout the decades. The neighborhood grew popular as the home of the Big Four railroad barons and their mansions. Today, it is still home to some of the most luxurious homes in the city as well as Gothic-style Grace Cathedral and charming Huntington Park. Other must-visit spots include Tonga Room & Hurricane Bar, Top of the Mark at the top of the InterContinental Mark Hopkins, Harper & Rye, Buffalo Theory, and Hi-Lo Club. Adding to the charm of Nob Hill, it seems to be the cable car headquarters of the city; every line travels through the neighborhood! Residents also have access to the Muni Metro Rail traveling in every direction — and even operating nonstop on some routes. 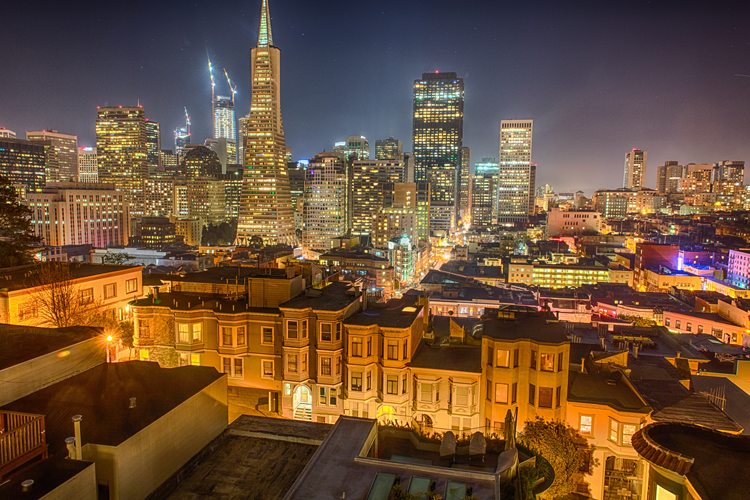 Want to learn more about San Francisco neighborhoods? Check out our guides The 10 Best Bike-friendly Neighborhoods in San Francisco, The 5 Most Desirable San Francisco Neighborhoods, Ranked by Their Walk Scores, and 15 Up-and-Coming Neighborhoods in the San Francisco Bay Area.